We’d love your help. Let us know what’s wrong with this preview of Eden's Serpent by Walter Mattfeld. 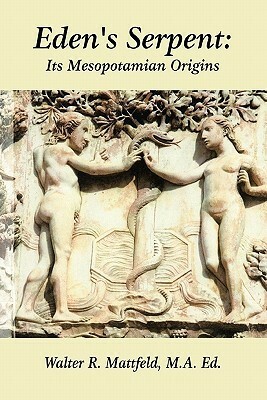 Several pre-biblical protagonists appearing in Mesopotamian myths are identified as being fused together and recast as the Garden of Eden's serpent. To ask other readers questions about Eden's Serpent, please sign up. I am the author of this book and would be interested in what readers have to say about the subject? Some PhD Scholars hold that earlier systems of belief, mainly Mesopotamian, have been recast in the biblical account of Eden's serpent. After reading the literature on this subject, 1858-2010, I decided to make a synopsis of the various proposals, adding my own hunches as to the pre-biblical origins of Eden's serpent.